NYC, 11/09/2018, 1:45PM. Choral concert. 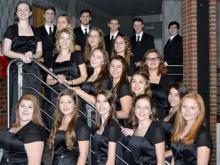 Select Chorus and Bella Voce Women's Choir.